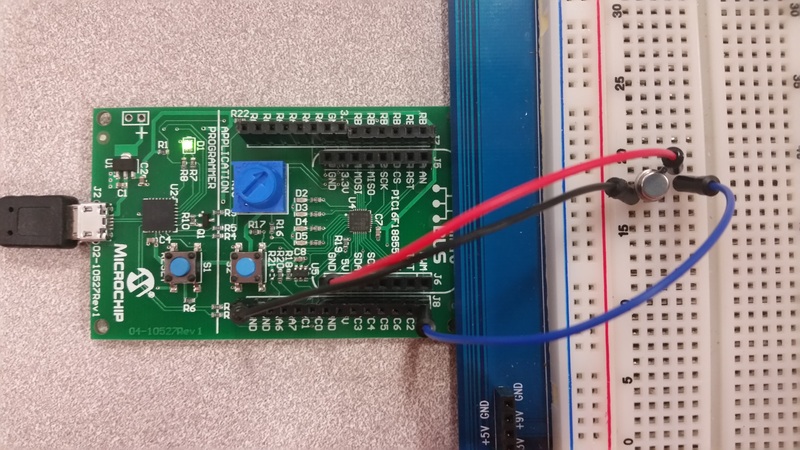 This tutorial uses the popular LM35 temperature sensor to enable temperature measurement with the PIC16F18855. The LM35 is a cheap and easy to use part that can be useful in applications that may be harmed from excessive heat, or even as a fun thermometer side project. 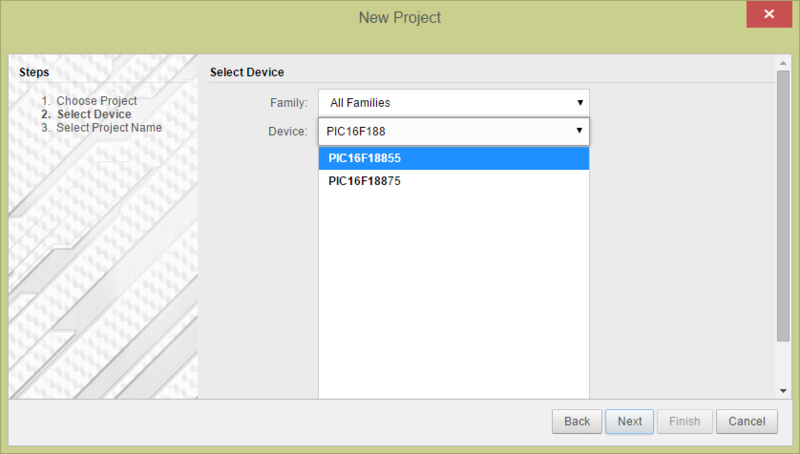 Create a new project in MPLAB® Xpress for a PIC16F1855 using the MPLAB Xpress Development Board called analogReadSerialWrite. Instructions are below if this is your first project. 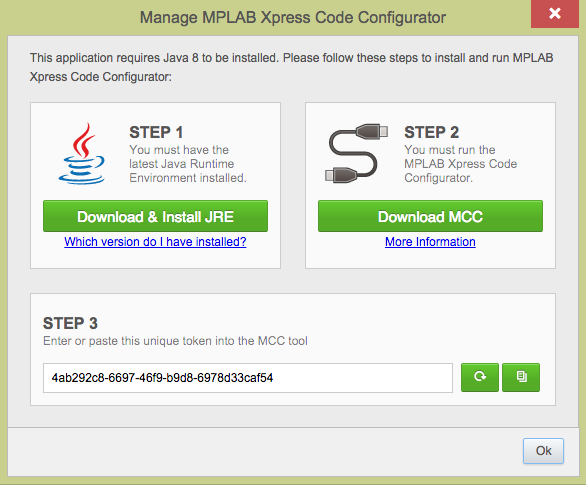 Open the MPLAB Code Configurator (MCC). The only changes necessary to make are those described here. 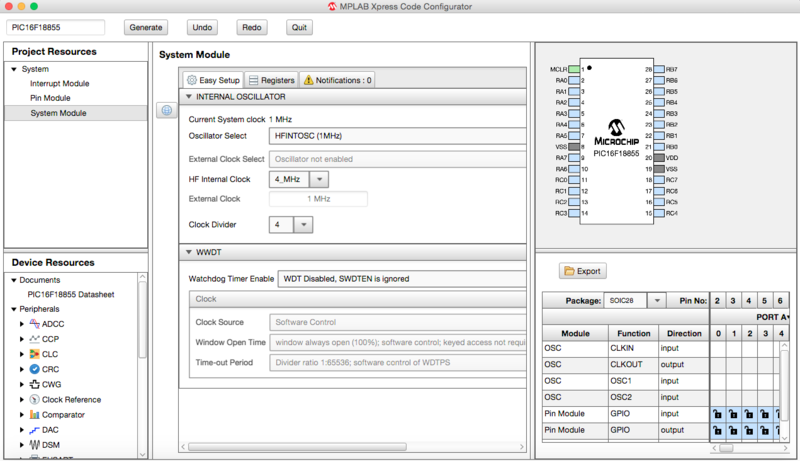 First, the clock source FRC allows the ADCC clock to run independently of the system clock. This demonstrates the clock flexibility on the PIC16F18855 chip which can create multiple clock signals for different modules. Second, change the Result Alignment to right in order that the bits are aligned in the correct order. This will become important in the written section of our program. 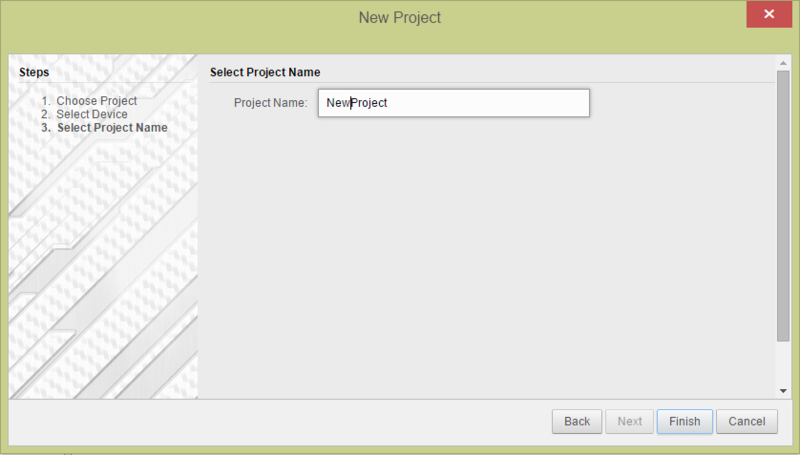 The changes made to the default window are shown above. Check the box labeled Enable Transmit to allow the EUSART to send out information. This module enables your chip to send words and numbers to the terminal window. While you do not need to change the Baud Rate, it is highlighted here because it is important to note. This is the speed at which information is exchanged, and is necessary to know when setting up your computer terminal. Otherwise, the bytes you send to the computer will show up as gibberish. Lastly, check the Redirect STDIO to USART box to simplify the lines of code you need to write by enabling the STDIO software library. In order to take the raw data coming from the temperature sensor and translate it into something meaningful, we must write a couple lines of code. However, if the ambient temperature is around 23.8 degrees Celsius, the ADCC sends out a value of 74. So, where did this number come from? Therefore, the step size that it can register is (3.3 V / 1024 steps) = 0.00322 V/step . Now, if the ambient temperature is 23.8 degrees Celsius, it will register as a voltage of 23.8C *0.010 V/C = 0.238 V. Taking 0.00322 V/step * 0.238 V with rounding equals ~74 steps. Therefore, the integer the ADCC sends to the microcontroller is 74. 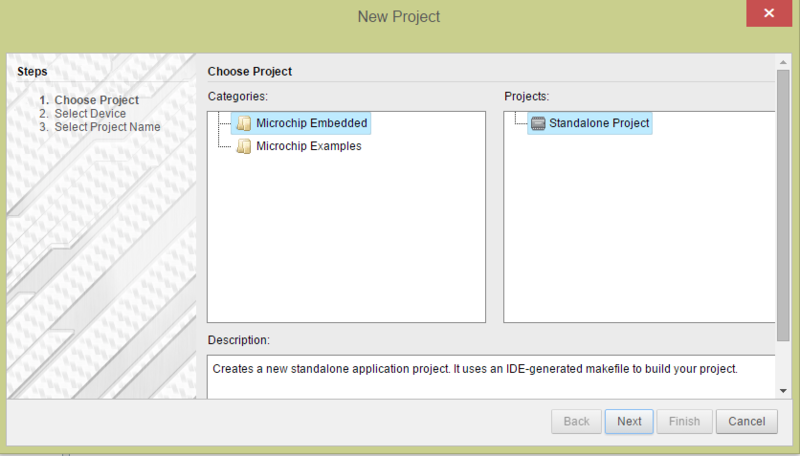 Once this is complete, it is time to program the microcontroller. If you see gibberish, make sure that the baud rate of your terminal agrees with that set up in your MCC window. If some is gibberish, you may need to slow the baud rate down to reduce the error margin.